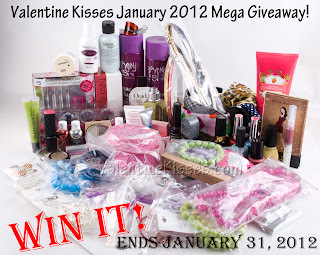 Nails by Carol: Valentine Kisses: Mega Giveaway! 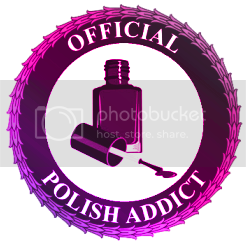 A couple of months ago when I started getting obsessed with nail polish and blogging, I came across Crystal's blog aka Valentine Kisses. She owns a well rounded beauty and nail blog... It is just great. I would like to recommend you her blog because she reviews just about anything you have heard of and she has generously put together a 65-ITEM MEGA GIVEAWAY! Keep in mind that her blog has much more to offer than the giveaway.